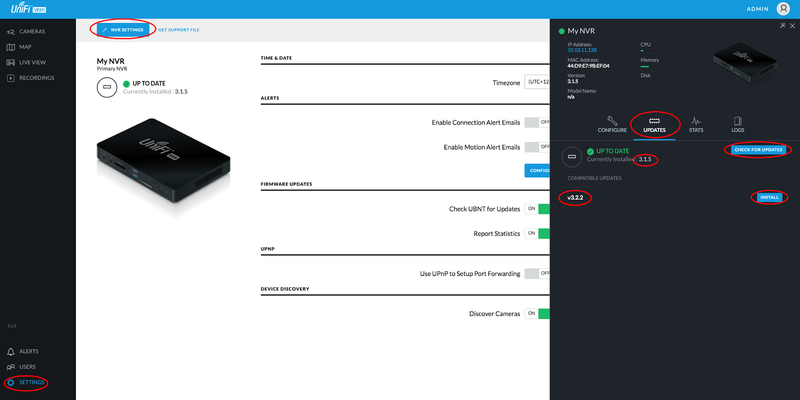 With the latest release of Ubiquiti UniFi Video 3.2.0, Gen 1 airCam's are no longer supported. This includes the following models airCam, airCam-Dome and airCam-Mini. If you have any of these cameras on your network you will not want to upgrade to the latest UniFi Video 3.2.0 as these cameras will no longer work with the software. As a result I have added some options to a script I have previously created for streamlining the upgrade process from airVison2. If you have purchased a new UVC_NVR that comes factory with UniFi Video 3.1.2 installed then make sure you upgrade BEFORE configuring your NVR as you WILL LOSE YOUR CONFIGURATION!!! 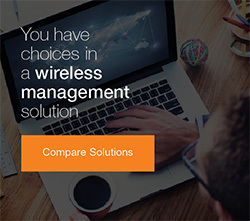 You will first upgrade to 3.1.5 which will reset your UniFi Video configuration. Once running 3.1.5 you can upgrade to 3.2.x which should migrate (keep) your configuration. Please note that 3.1.5 is the last remaining version supporting Gen 1 airCams, after 3.1.5 only UVC Gen 2 cameras are supported. If you have issues with the above or wish to perform some advanced tasks you can install and run the uvc-updater script provided below. This will allow you to upgrade all packages on the Debian NVR system, Migrate from airVision2 (older airVision-C NVR). 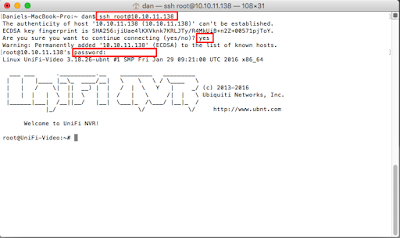 Install PuTTy, select SSH and enter the IP Address of the NVR. 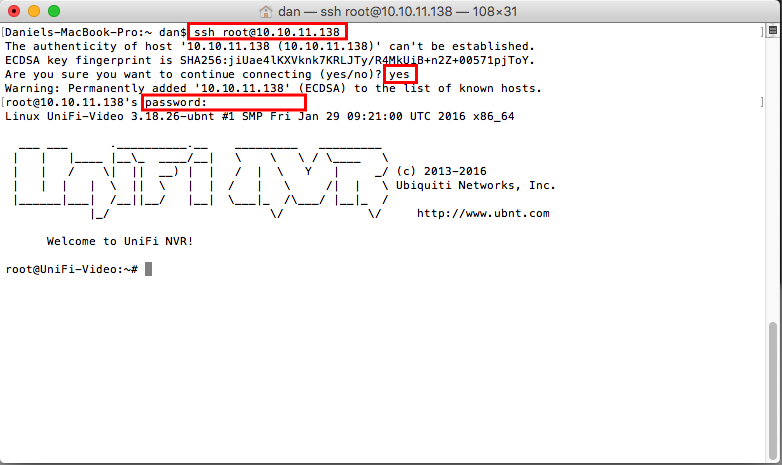 The default username is "root" and the password will be your password used to manage the NVR (default "ubnt"). On later versions of the UVC_NVR you may need to enable SSH under Configure Device > Configuration > Services.